CHARLOTTE AMALIE, St Thomas, USVI- The body of a male was found floating in the waters of Veteran’s Drive in St Thomas, US Virgin Islands (USVI) early today Thursday January 18, 2018, in what the [US] Virgin Islands Police Department (VIPD) has classified a dead-on-arrival (D.O.A.) incident, the force’s media specialist, Sakeeda Freeman has announced. 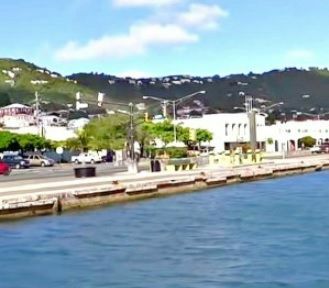 According to Ms Freeman, today at approximately 5:28 A.M., units from the Richard N. Newton Command and the Criminal Investigation Bureau travelled to the Charlotte Amalie harbour, across from the United Service Organisations building, in regards to a body floating in the water. Upon arrival to the scene, officers met with two individuals, who said that while jogging, they noticed what appeared to be a body floating in the sea. An unresponsive black male was retrieved from the water with no vital signs of life, Ms Freeman said. The identification of the male victim was withheld until next of kin is notified. Ms Freeman said there were no noticeable signs of trauma. The case is under investigation by the VIPD’s major crimes unit, according to Ms Freeman. The force is asking anyone with information about the incident to contact the Investigation Bureau at 340-774-2211 ext., 5569, or 340-714-9830. You can also contact 911, the chief’s office at 340-715-5548, the commissioner’s office at 340-715-5506, or Crime Stoppers USVI here. This is upsetting and sad. Poor guy.